For people who care about people, social services is the perfect field. Social workers connect people in need with the programs, institutions, and services designed to help them. According to the Social Work License Map, social workers are currently most in demand in Arizona, California, New York, Connecticut, Pennsylvania, and Texas. But even if you don’t live in one of those states, most communities have people in need and systems to help them. Many online bachelor in social work programs require fieldwork, and they’ll help you get plugged into the social work agencies wherever you live. You don’t have to move across the country to learn how to serve your community through social services. There are countless online bachelor in social work degree programs that can land you the credentials, expertise, and experience you need to enter the field. To help you sort through all these programs, we’ve used data from The National Center for Education Statistics and ratings from school-ranking entities like TheBestSchools.org, NonprofitCollegesOnline.com, SocialWorkDegreeCenter.com, CareersInPsychology.com, and CollegeChoice.net—so this list of the top 10 online bachelor’s in social work programs is the best of the best. One school remarked that there are only 16 online BSW programs accredited by the Council on Social Work Education. Nine of them are on this list. You won’t have to spend a fortune earning your BSW at any of these schools, but if you live in New Mexico, you’ve got access to the most affordable education on this list. 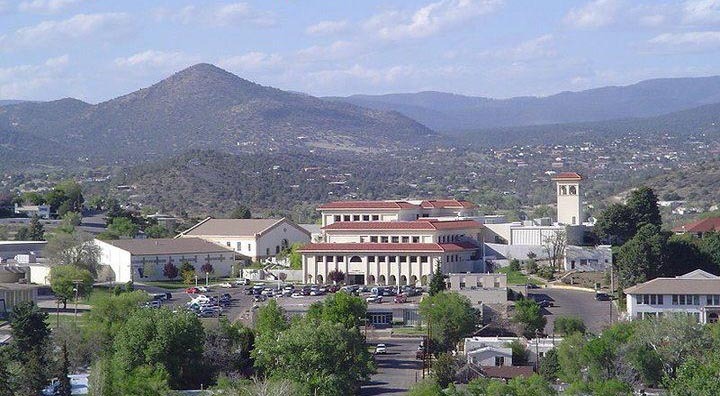 Western New Mexico University’s in-state tuition runs about $6,000 per year. They’re #6 on our list. For everyone else, Bemidji State University (#5) costs about $8,000 per year, regardless of which state you live in. It’s worth noting that while most of these programs will prepare you to become a licensed social worker, getting your license is almost always a separate process. Your BSW gives you the expertise (and often the experience) you need for many entry level social work positions, but you may not qualify for more advanced positions. That said, Western New Mexico University (#6) reported a 67% employment rate within nine months of graduation for their BSW graduates. If you want a job in the field fast, WNMU may be your best choice. None of these schools have an amazing graduation rate, but at the same time, only one has a notably low graduation rate *cough* WNMU (20%). If you’re worried about whether or not you’ll actually complete one of these programs and come out with a degree, Appalachian State University (#9), with a graduation rate of 72%, may be for you. Humboldt State University offers a two year online bachelor in social work degree through their Department of Social Work. If you poke around on their website, you might have to hunt a little to find their online program—they call it distributed learning, but it’s online. You must complete the courses in order. Briar Cliff University offers an online BSW degree through their Department of Social Work. This program includes several courses that help you learn about how social work functions in your local community. You’ll establish local social workers as your mentors, and at some point you will advocate for or oppose a piece of state legislation. You’ll have personal mentoring sessions with your faculty through Skype, and you’ll directly interact with them in some way every week. BCU’s social work program has been CSWE accredited since 1974. For over 40 years, they’ve been at the forefront of social work education. The BSW program culminates in a 450-hour internship (or “field practicum”) in your local community, which you’ll establish with the help of BCU’s field director. You cannot transfer relevant life experience to replace this part of the program. The field director explains more about the practicum in this video. Briar Cliff University accepts up to 90 transfer credits. You can transfer relevant life experience for up to 12 credits. 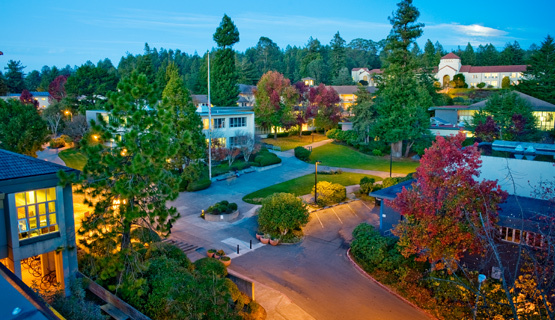 California State University’s Chico campus offers an online BSW through their School of Social Work. Like BCU, this is a “distributed learning” program. It’s offered in both a two year and three year format (they both have the same curriculum). You’re also required to attend two weekend “face-to-face” times per semester. Before you get very far into the program, you must be accepted into the “professional sequence” to continue progressing. To be accepted, you have to have your general education requirements completed, 60 hours of volunteer work with a social service agency, at least 60 transferable credits, and you must have completed or started several core social work courses. All courses need to be completed in order. 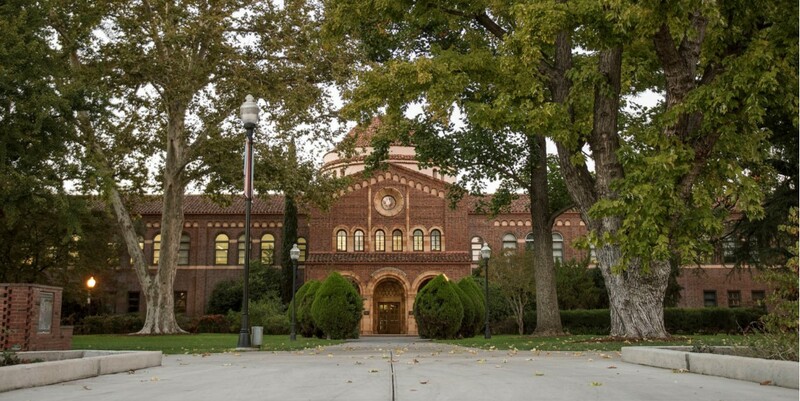 Fun fact: California State University-Chico has a transfer rate of 4%. The national average is almost 10X higher. Students who start here typically stay here. University of Utah Online offers a BSW program through the College of Social Work. The main page for the online BSW program says that it’s not fully online. However, the program admissions policies and procedures page says there’s a fully online option. As an online student, you’ll have group assignments, peer reviews, and online discussions. You can attend “online office hours” in discussion threads or over the phone. To complete the program, you’ll have to complete an internship as well. The length of the internship isn’t specified online. Courses must be completed in order. You’ll be part of an online cohort, and the vast majority of your classes will be online. The non-online components of the program are on-campus courses three times per semester and a 480 hour internship in your local community. BSU also offers a 20-credit minor in chemical dependency for BSW students, though it should be noted that this doesn’t include the requirements needed for you to become a Licensed Alcohol and Drug Counselor. Very few undergraduate students at BSU finish their degree in four years. The most recent data from the National Center for Education said it was 5%. Western New Mexico University offers an online bachelor in social work degree. You don’t ever have to go to campus. Your courses are fully online, and your practicum can be completed locally. 28% of students surveyed in 2014 received a raise after completing the program. 67% either already had jobs or became employed within nine months of graduation. Huntington University offers an online bachelor in social work through their accelerated learning program. The website says the program provides you with “the capacity to become licensed in any state.” I would assume that means you will have the knowledge and skills you need to meet license requirements. This probably isn’t saying the program meets licensure requirements in every state. Huntington University also says you will be required to complete fieldwork, but it doesn’t specify how extensive that fieldwork is. Note: If you complete your general education requirements at Huntington University, it may include a few Christian or Bible-related courses. HU is a Christian college closely associated with the Church of United Brethren in Christ. And the national and global campus. In this program, you only need to register once. That means no more waking up early and repeatedly clicking refresh to fight against other students for the classes you need. Through IWU’s virtual classroom, you’ll get individual attention from your instructors and interact with other students. BSW students must complete 400 hours of fieldwork after completing course requirements. This generally takes place over six months. Note: Like Huntington University, Indiana Wesleyan University is a Christian college. While none of the courses in the BSW program are explicitly Christianity or Bible-related, you may find that your professors approach social work topics from this perspective. Additionally, if you take your general education requirements here, you can probably expect to take a course or two on religion. Appalachian State University’s online bachelor of social work has a full-time and part-time option. The full-time option is designed to be completed in about two and a half years, and the part-time option is designed to take about three years. You need a minimum of 60 credits before you can enroll in the program. Regardless of which degree path you choose, you’ll need 32 hours of fieldwork in your final semester. Northern Arizona University’s extended campus offers a fully online bachelor in social work. According to the National Student Clearinghouse Research Center, more than one third of all college students transfer schools before graduating. In order to transfer your credits from one school to another, the two schools usually have to be accredited by the same organizations. Thankfully, nine out of the ten schools on this list are accredited by the Council on Social Work Education, which means even if the programs use different regionally accrediting bodies, the content will meet the same industry requirements, and you may have an easier time transferring credits. Additionally, six of these schools are accredited by the Higher Learning Commission, and two are accredited by the Western Association of Schools and Colleges—so if you decide to transfer, there are plenty of great schools that will still accept your credits.